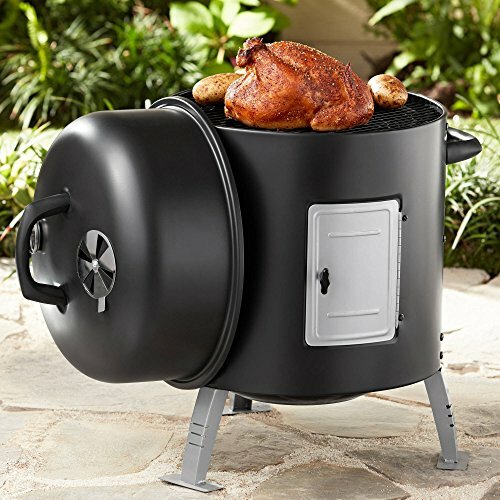 Trust the Expert Grill Charcoal Water Smoker for delicious and memorable meals for your friends and family. With 390 square inches of cooking space, the smoker can grill up to 23 burgers at once. It also includes a professional temperature gauge and large charcoal access door to make grilling and smoking even easier. The water smoker is super versatile and can easily be converted for use as a grill without any special tools. If you have any questions about this product by Expert Grill, contact us by completing and submitting the form below. If you are looking for a specif part number, please include it with your message.